HOUSTON — The Archdiocese of Galveston-Houston said Nov. 28 it "continues to cooperate, as we have since the outset," with the Office of the District Attorney of Montgomery County in its ongoing investigation into a Catholic priest accused of abusing minors. He was released from jail on bond and is expected to plead not guilty during his next court appearance in January, according to KPRC-TV Channel 2, NBC's local affiliate in Houston. "Consistent with (Cardinal Daniel N.) DiNardo's pledge of full cooperation, the information being sought was already being compiled," the archdiocese said. 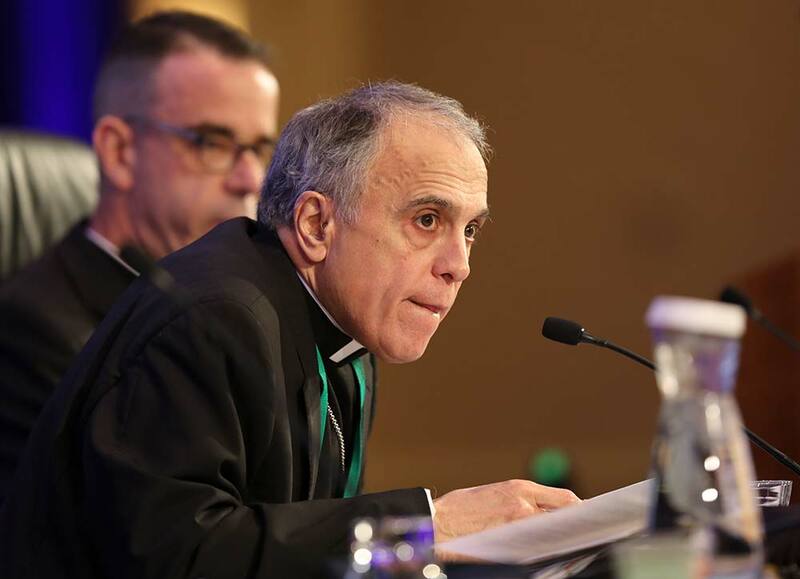 Cardinal DiNardo is head of the Galveston-Houston Archdiocese and president of the U.S. Conference of Catholic Bishops. In response to news reports saying the information was kept in "secret" church archives, the archdiocese noted that "secret archives" is merely a church term pertaining to confidential documents kept in a secure manner for the protection of the privacy of individuals -- not unlike medical records." The archdiocese also criticized news media for describing the serving of a warrant as a "raid." "Please note any use of the term 'raid' is an inaccurate and unprofessional reference to a request for records to a party that has been cooperating and will continue to cooperate fully," it said. The archdiocese said it took appropriate action each time an allegation against the priest was brought to its attention. "Pending additional information or developments, the archdiocese will have no further comment on this ongoing investigation," it said. "We immediately referred this information to Children's Protective Services for further investigation," the archdiocese said. "Father La Rosa-Lopez denied touching the girl inappropriately, and the girl's family decided not to pursue the matter, relocating out of the country that same year." An internal review of the matter took place and the findings were presented to the newly founded Archdiocesan Review Board in 2003, the archdiocese said. Father La Rosa-Lopez "was permitted to return to parish ministry in 2004." When the young woman returned to the U.S., "the archdiocese, in accordance with our commitment to provide pastoral outreach, provided the young woman with counseling services for a period of time, until she decided to discontinue her therapy." Over the next 17 years, "no other allegations of inappropriate conduct involving minors were presented against Father La Rosa-Lopez -- until 2018," the archdiocese said. The archdiocese said it "immediately reported this allegation to Children’s Protective Services." A warrant was issued for the priest's arrest; he turned himself in voluntarily Sept. 11. "We take these matters very seriously, which is why we reported the information we received from both individuals to CPS -- and removed Father La Rosa-Lopez from ministry," the archdiocese said in the Sept. 12 statement. "We are pledged to cooperate with the civil authorities in their investigation. "The Archdiocese of Galveston-Houston recognizes it clearly has both a legal and a moral obligation to address any incidence of abuse -- sexual or otherwise -- to God’s children. Such behavior simply will not be tolerated," it added. "To anyone affected by any form of abuse by anyone who represents the church, the archdiocese deeply regrets such a fundamental violation of trust, and commits itself to eliminating such unacceptable action."